Online Transaction failed, but amount debited/deducted from account. What to do? Online transactions have become very common these days, with the advancement in Internet technology, you can do all the bank transactions online easily in minutes.Many times due to bad internet connectivity or some other bugs, transaction becomes unsuccessful but amount gets debited from your account. Such issue are common while making truncations during payment of Online shopping, reserving ticket on IRCTC, paying power/telephone bills. Amount deducted twice , Even for the failed transaction, amt. was debited from account, Got Refund same day. Couple of days back i was paying my Internet Bill of MTS online. I always pay my bills online and never faced any difficulty till now. The bill amount was 1122 and i chose internet banking as Payment option. So, again i tried my luck to pay bill, this time i chose Debit card as online payment method, and this time the transaction was successful. After this i paid another bill of Rs 537 of Tata docomo postpaid via debit card, again transaction was successful. After some time, i logged into internet banking to checked my account balance, i noticed that amount of 1122 was debited twice from my account, though the first time, transaction failed. Nextly, i contacted ICICI customer care and explained them the whole issue that my amount is deducted twice, though the transaction failed for the first time.It was 1 PM in night and they told me to call next day after 9 AM regarding this issue. I called MTS customer care as well regarding this issue and they told me that they have received payment of Rs 1122 once and told me in case amount is debited twice, bank will assist me to get it bank. I called them next morning, Customer care told that the amount will be refunded back within 3 days. In case it is not refunded back with in a week, you can call us again after a week and file a problem/complaint with us regarding this issue. 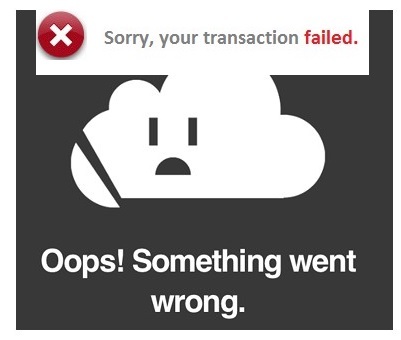 Well this is a very common problem of failed transactions and many of you must have faced the same that whats made you landed you on this page. I also contacted ICICI bank using their online complaint page to get the refund back ASAP. I was delighted with the service of ICICI bank and they refunded back the amount same day. Contact immediately Bank on their Customer Care support.You can easily find the Customer care support numbers of all the banks online. Try to find email address or Contact us webpage on the Bank website and try to drop a mail covering all the details and sharing any screenshot if you have. Don't worry, you will get the money back. Banks verify the details of unsuccessful transactions and refunds the money back to your account.The time of refund varies for all the banks, Public sector may take upto a month while Private sector banks refunds the amount same day itself. If you are facing any problem, feel free to comment below.